Seven Southland hotels earned the AAA’s coveted Five Diamond rating, putting them on a list that includes just 121 hotels nationwide, the Automobile Club of Southern California announced Wednesday. Dozens of other hotels in Los Angeles and Orange counties, meanwhile, earned Four Diamond ratings. 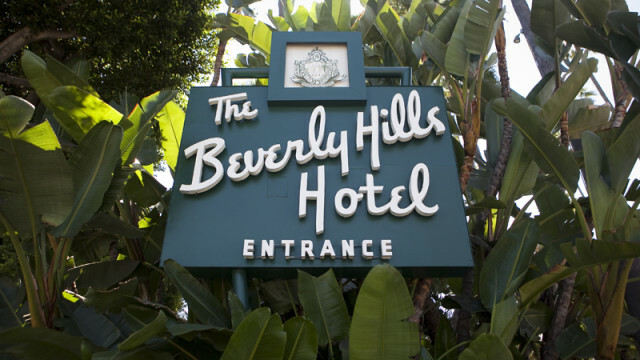 The local hotels earning the Five Diamond rating were The Beverly Hills Hotel and Bungalows, The Peninsula Beverly Hills, Monarch Beach Resort in Dana Point, The Ritz-Carlton Laguna Niguel, Montage Laguna Beach, The Resort at Pelican Hill in Newport Beach and Four Seasons Hotel Westlake Village. “Hotels that aim for a AAA Five Diamond rating must differentiate themselves through advanced design concepts, highest quality furnishings and scrupulous attention to guest service,” said Patricia Marenco, the Auto Club’s approved-accommodations supervisor. — Fairmont Grand Del Mar in San Diego. The Auto Club also released its list of Four-Diamond Ratings for hotels and restaurants. To earn the rating, hotels must be “refined, stylish with upscale physical attributes, extensive amenities and a high degree of hospitality, service and attention to detail,” according to the Auto Club.